This week's topic is "Cultures of Safety Excellence Don't Come in a Program." 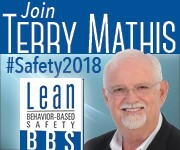 To learn more about shaping your safety culture, visit https://proactsafety.com/solutions/consulting/steps. This week's topic is "Can-Do Cultures." For more information on how we help organizations take STEPS to Safety Culture Excellence, visit https://proactsafety.com/solutions/consulting/steps.